We are on time today. Some Districts in our area, including Westby, are running late due to power outages. 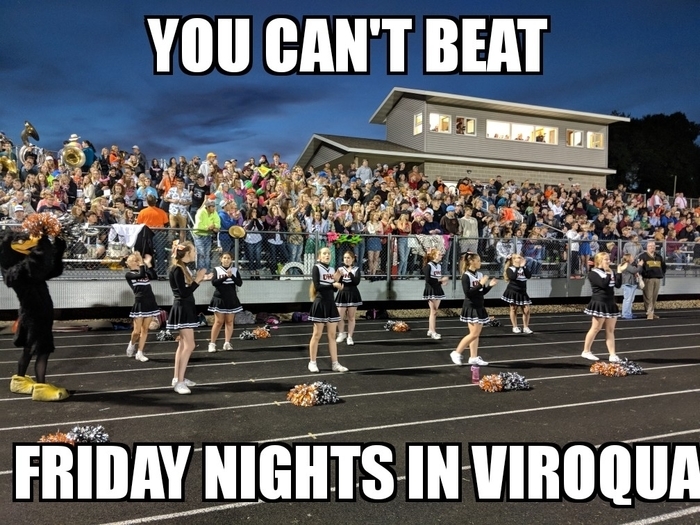 We will monitor the situation, but Viroqua has not experienced these issues. We plan to continue with school on time today. Thank you. ALERT: April 10. All after school & evening activities are cancelled. 2019 Summer School Registration is open March 28 - April 17. Packets are available in school offices and online under Documents. Here is the timeline for the school board member appointment process. 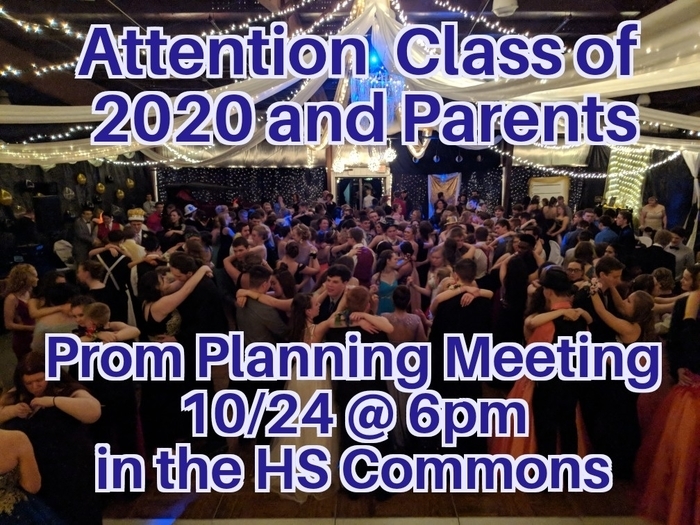 Please contact the district office if you have any questions. Thank you. 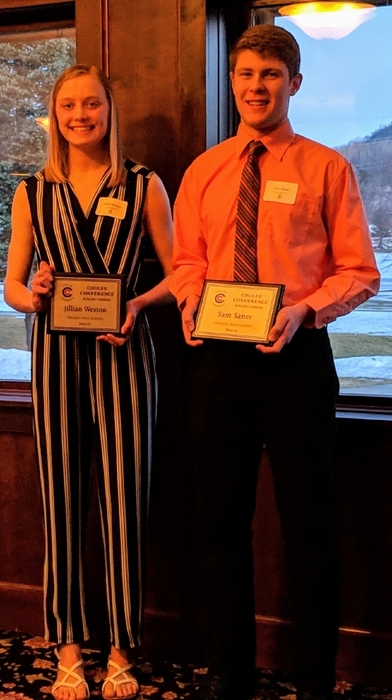 Congratulations to Viroqua's own Coulee Conference Scholar-Athletes Jillian Weston and Garvin "Sam" Saner. Go Blackhawks! 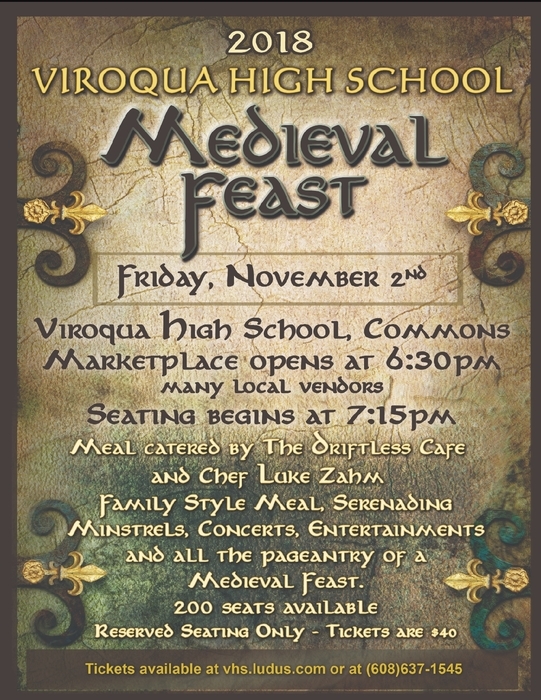 Dear Viroqua Families. We have updated our makeup plan for the instructional time that students have missed this year due to inclement weather. Please see the attached letter, and call your school or the DIstrict Office if you have any questions. Thank you! Vernon Reporter's School Board Candidate Forum: The Vernon Reporter will be hosting a Viroqua School Board candidate forum at the Vernon Memorial Hospital Medical Office Building in Viroqua on Friday, March 22 at 5:30 p.m. The forum will feature four candidates running for two seats on the board. Incumbent candidates Angie Lawrence and Marina Abt, as well as new candidates Alicia Leinberger and Jesse Nelson. ALERT: Viroqua Schools will have a 2 hour delay today, Wednesday, March 13th due to icing on rural roads and reduced visibility from heavy fog. We are having some network issues this morning causing our phones and internet to experience some brief lapses in service. Our technology team is correcting the issue; we apologise for any inconvenience in the meantime. 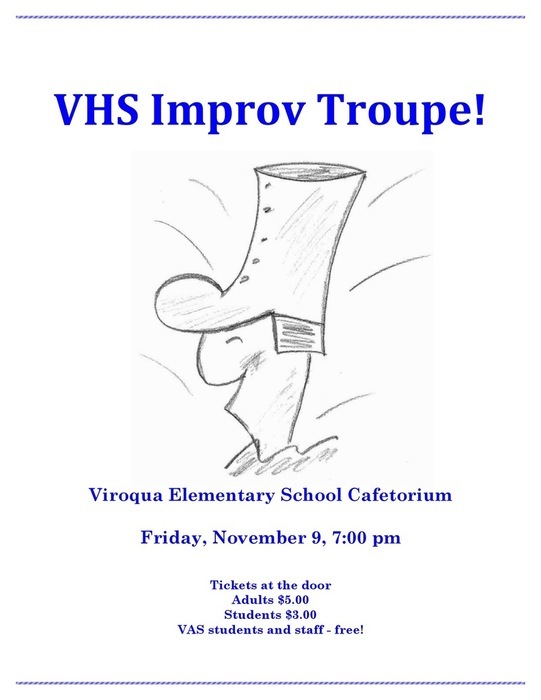 Please join us for a night of live entertainment with the VHS Improv Troupe. March 22 & 23 at 7 PM, in the Elementary School Cafetorium. 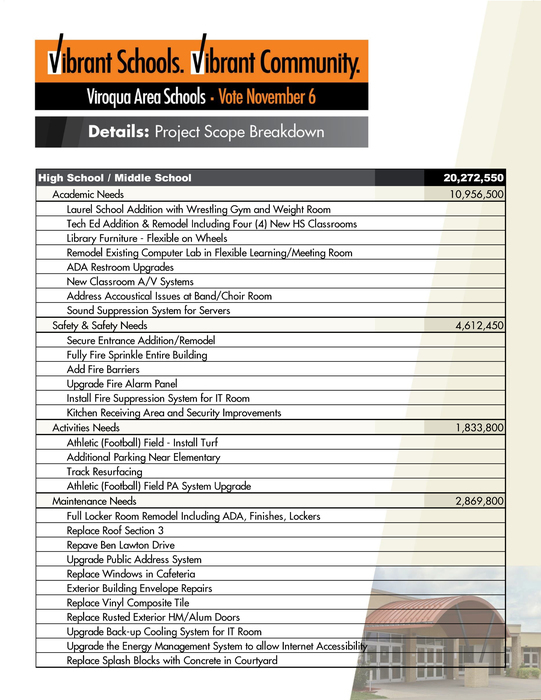 Please watch for the community survey for all Viroqua Area School District residents coming out over the next week. The survey will be confidential and come directly from School Perceptions - a leader in the state for community surveys. We want to hear from you! ALERT: Viroqua Schools will have a 2-hour delay Monday, Feb. 25th due to heavy drifting. We will continue to assess road conditions and decide prior to 7:30 if we are not able to have school today. 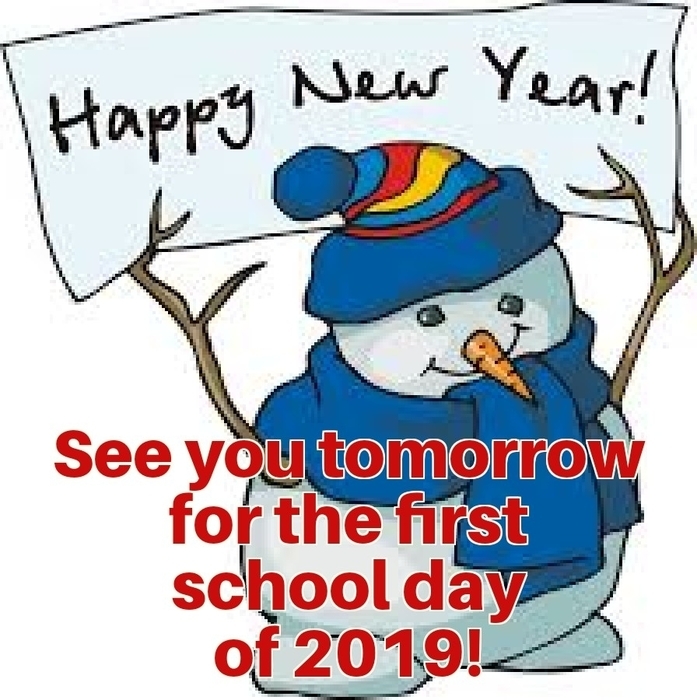 This is a reminder that we will have school tomorrow (2/21) for all students, and we will have Elementary parent/teacher conferences as scheduled. The Elementary Sock Hop is rescheduled to next week, Thursday, Feb. 28th, from 3 - 5pm. ALERT UPDATE: Viroqua Schools are CLOSED Today, Wed. Feb. 20th. Gusting winds are causing drifting and reduced visibility in many areas. ALERT: Viroqua Schools will have a 2 hour delayed start due to the impact of early morning snow. We will continue to assess the road conditions, and will decide prior to 7:30 am if we are not able to have school today. 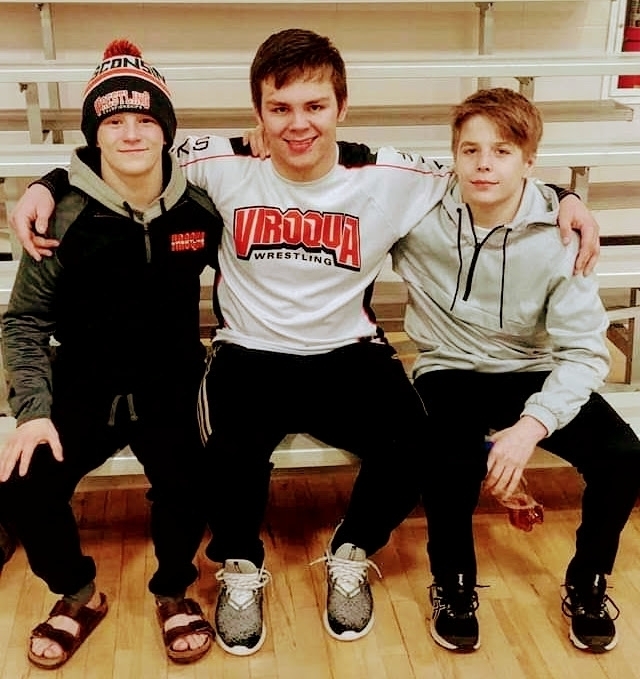 Congratulations to our Blackhawk State Qualified Wrestlers! Good luck at State! 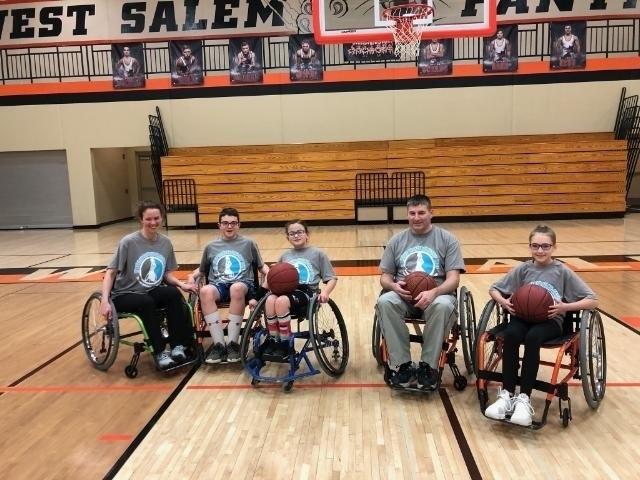 Our Wheelchair Basketball Players are ready for the competition. Go Blackhawks! 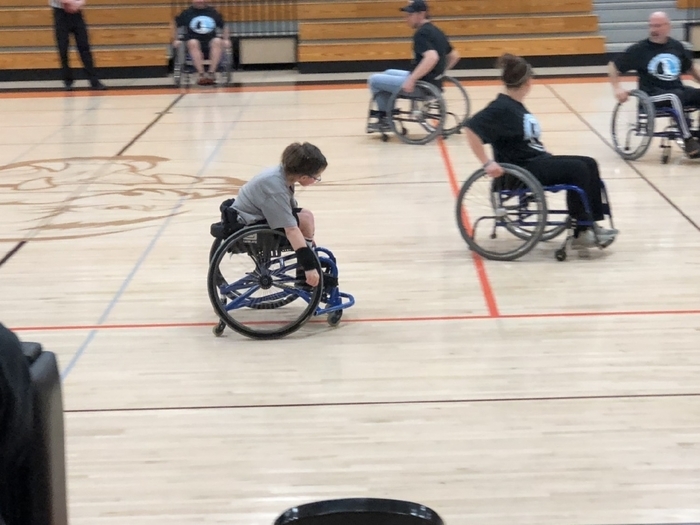 The Special Olympics game scheduled with our students in Brookwood (location correction) has been Cancelled Today, Sunday, Feb. 17. Due to inclement weather. Ski Trip News for 7th and 8th graders: We just got confirmation that the ski trip is scheduled for Thursday, February 21st. As far as it looks now, weather should be great! The 7th and 8th grade ski trip for today is cancelled and will be rescheduled. Please watch for the announcement from school for that date. YES: we are going to have school today. See you there. ALERT: VAS will have a 2 hour delay Wed. Feb. 13. Drifting snow and strong winds have caused roads to be obstructed. We will continue to assess road conditions and announce by 7:30 am if we cannot have school today. ALERT: Viroqua Area Schools are closed today, Tuesday, Feb. 12. Please be safe today. The attached letter shares our District plan for making up instructional minutes. 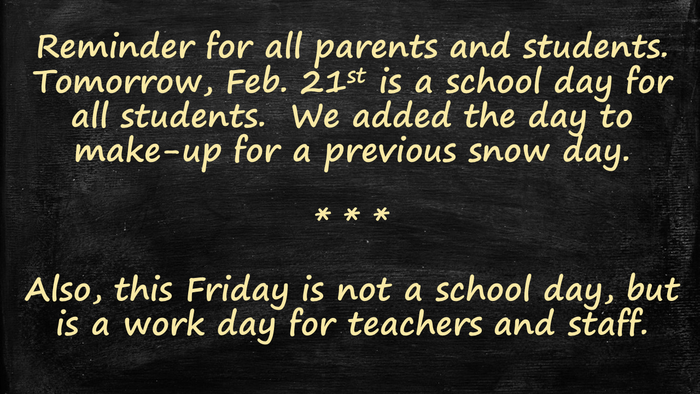 We would like to thank our community for being flexible and understanding about the adjustments that we have had to make in our school schedule in response to the harsh winter weather. ALERT: Viroqua Area Schools are closed today, Thursday, Feb. 7. Viroqua Area Schools will have a 2 hour delay this morning. We are continuing to assess the weather forecast and will determine by 7:30 this morning if we need to consider closing school today. Please watch for that update by 7:30 AM. 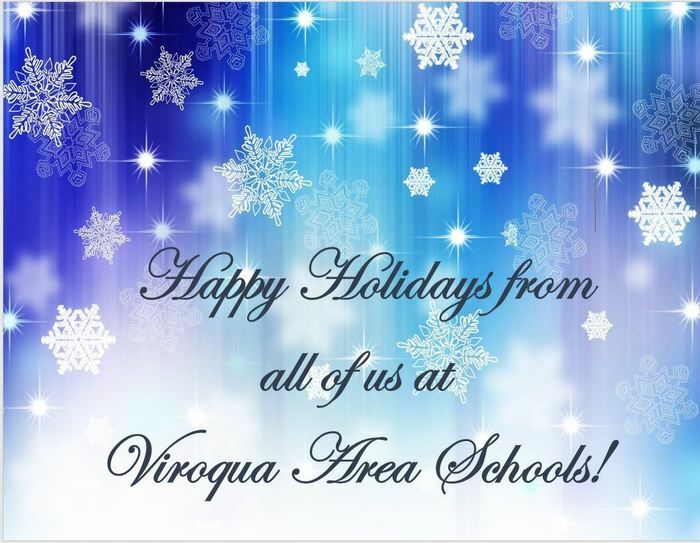 ALERT: Viroqua Area Schools will be closed tomorrow Thursday, January 31st. After School Activities will continue as scheduled after 3:00 pm as forecasts indicate continued warming through the day. ALERT: Viroqua Area Schools will be closed Tuesday Jan. 29th and Wednesday Jan. 30th due to extreme cold temperatures. No evening activities. Please take precautions to be warm and safe. ALERT: Viroqua Area Schools are closed Monday, Jan. 28 due to inclement weather. There will be also no evening activities. The Primary Election for School Board Members will be February 19th. Please see the notice of primary election posting here for locations and information. Thank you! 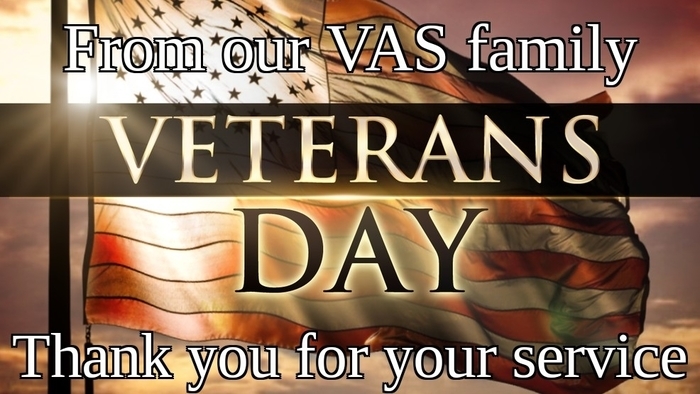 ALERT: VAS is closed today. Jan. 23. We apologise for the late notice but roads have not improved as much as we hoped, and we took the side if safety first. Thank you. ALERT: VAS is closed today, Wednesday, Jan. 23 due to inclement weather. 4th grade: Due to the 2 hour late start this morning, the 4th grade field trip to the UW-L Planetarium is rescheduled for tomorrow, Thursday, January 24. Sack lunches from the school will still be provided tomorrow to students who signed up for them, others please bring your own. Alert: VAS will have a 2-hour delay this morning, Wednesday, Jan. 23, due to low visibility and continuing inclement weather. ALERT: VAS is closed today, Tuesday, Jan. 22 due to inclement weather expected throughout the day. No evening activities. Please be safe. We are cancelling all after school activities and events for today, Friday, Jan. 18. We expect snow to begin this afternoon with up to 5 inches accumulating this evening and overnight. 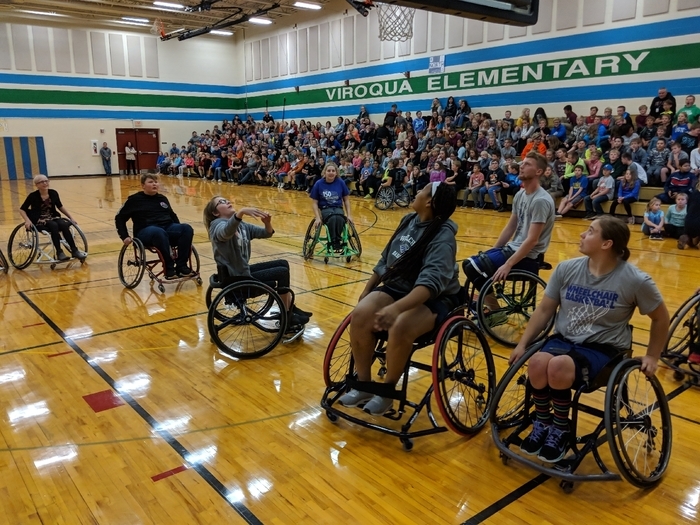 Viroqua Area Schools is cancelling all after school activities today, Jan. 15. There will be no after school practices or events. Thank you. Delay alert: Viroqua Area Schools will have a 2 hour delay this morning, Tuesday, Jan. 15th due to continued icing on many roadways. Please read the latest update about the District's decision to continue to build community consensus before bringing another referendum question to the table. 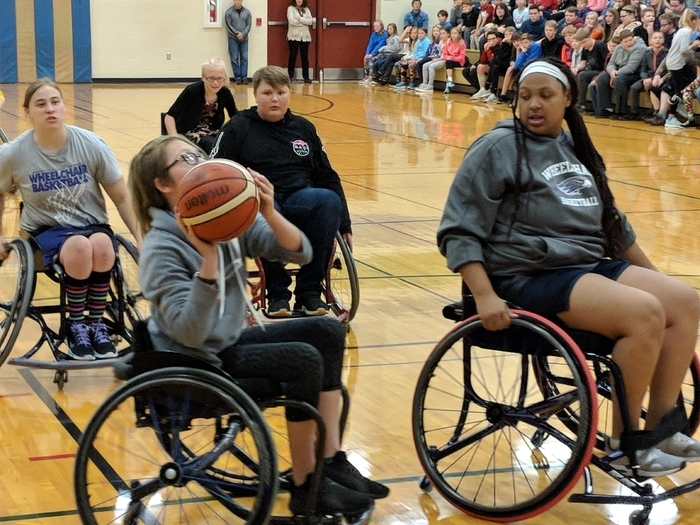 VAS is cancelling our Girl's Basketball games this evening (Monday, Jan. 14) due to the potential for freezing road conditions. Practices at school will also end at 5:00 PM for the evening. Thank you. Emergency School Closing alert. VAS is CLOSED today, Monday, Jan. 7 due to inclement weather. Viroqua Area Schools will have a 2 hour delay this morning, Monday, Jan. 7 due to inclement weather and icing on rural roadways. 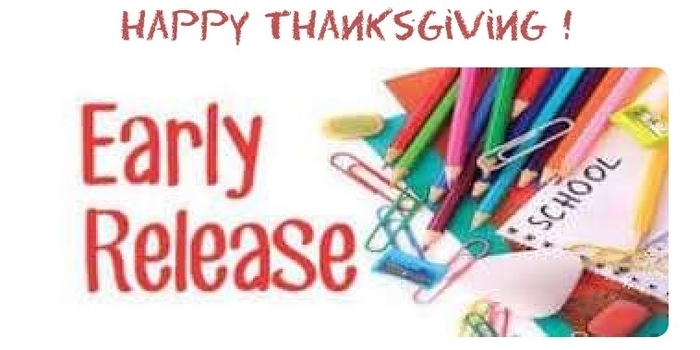 We hope you had a wonderful break, and we will see you at school tomorrow morning! 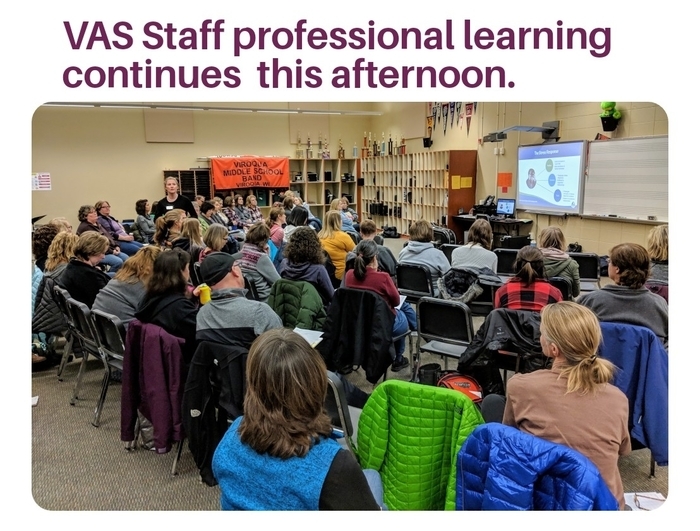 Thank you to CESA 4 for the support today with our training in Trauma Informed Care for our schools and our students. 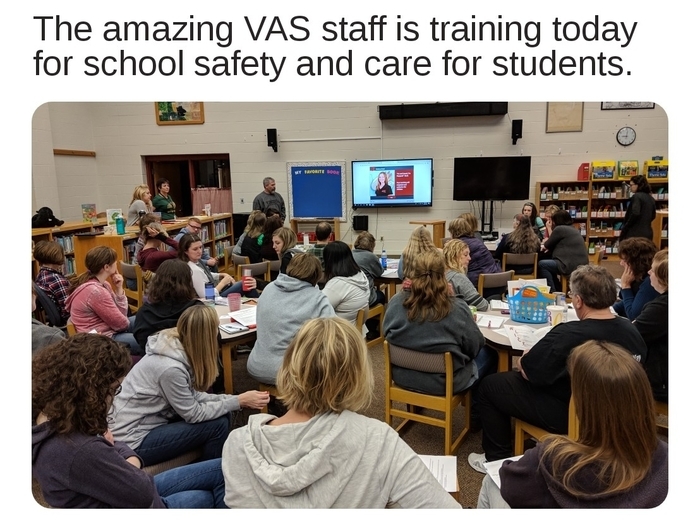 Our dedicated and superb staff in professional development today; teams are working on school safety and trauma informed care for students. Wishing you and your families health and happiness this holiday season. We will see you all in the new year! Just a reminder the Elementary Concert for Grades 1 & 3 is this Thursday, December 6 in the Elementary Cafetorium. The 9:00 a.m. performance is for the elementary students and public; the 1:30 p.m. performance is for the public. See you there! Reminder that tomorrow is an Early Release Day. Elementary releases at 12:30 pm, Middle School and High School at 12:45 pm. Viroqua Area Schools is accepting applications for Substitute Teachers, on-call, as needed, on a day by day basis. $105/day. Candidates with an associate degree or higher may apply for a WI Short-Term Substitute License. Please contact Dr. Kehl Arnson for more information. karnson@viroquablackhawk.org or 608-637-1181. Viroqua Area Schools is accepting applications for Substitute Bus Drivers for regular and co-curricular routes. Applicants for bus driver substitutes must hold a valid CDL or be qualified to obtain one. $12.50-$15.00/hr. Substitute bus drivers will be reimbursed for the cost of their initial CDL license - including testing fees, license fees and for the cost of a basic physical needed to obtain their license. Substitute drivers may submit a request for reimbursement with copies of the bills that were paid after the substitute has driven 5 trips in the current school year. Please contact Randy Pederson, Transportation Supervisor, for more information. 608-637-1642. Applications available at https://sites.google.com/viroquablackhawk.org/employment or at the District Office, 115 N. Education Ave., Viroqua, WI, 54665. Viroqua Area Schools is accepting applications for substitute Custodians, Cook/Servers, Secretaries and Aides. All of these positions are on-call, as needed, on a day by day basis. $11.75-$12.00/hr. Applications available at https://sites.google.com/viroquablackhawk.org/employment or at the District Office, 115 N. Education Ave., Viroqua, WI, 54665. We are hiring a Boy’s C-Team Basketball Coach. 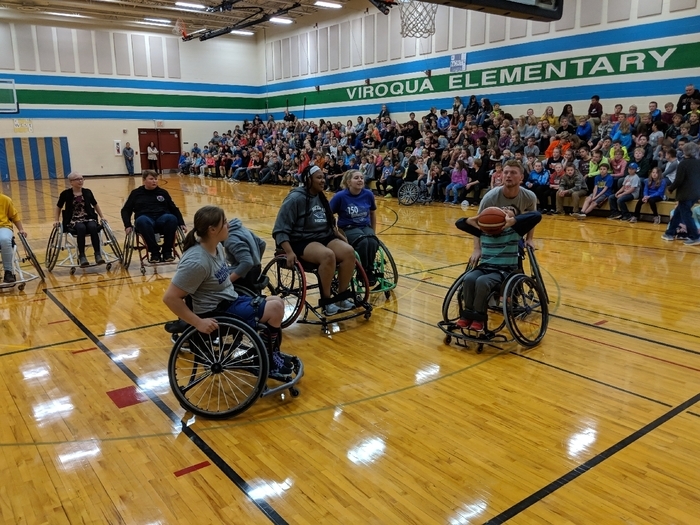 If you are interested, please send letter of interest and resume to Eric Anderson, Activities Director, 100 Blackhawk Drive, Viroqua WI 54665; or email anderi@viroquablackhawk.org. Applications will be accepted until position is filled. Screening of applicants will begin immediately. 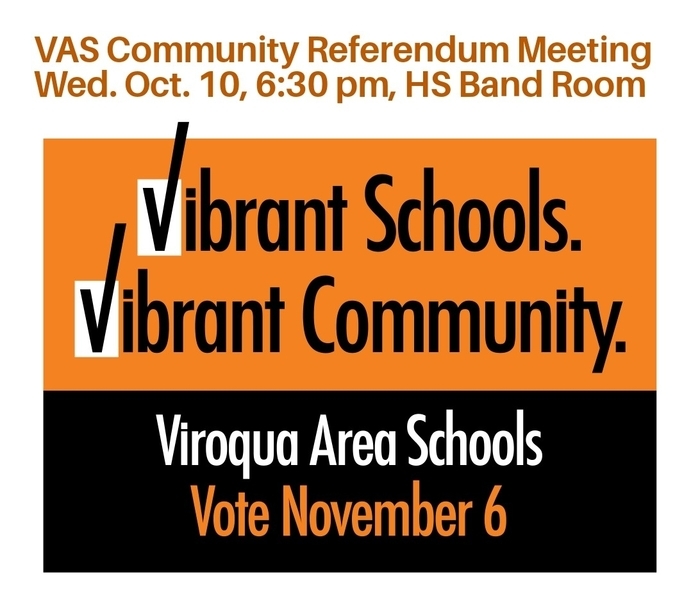 Please join us this Thursday, Nov. 1 at 6:30pm for information about the VAS referendum. If you would like your student to receive the Influenza vaccine at the October 24th flu shot clinic, please return the form as soon as possible. The make-up day will be held November 1st. Reminder...If you received a notification in the mail about missing immunizations, please stop in the school office or return the Immunization/Waiver Form. We need to be 99% compliant or will be required to exclude students from school. 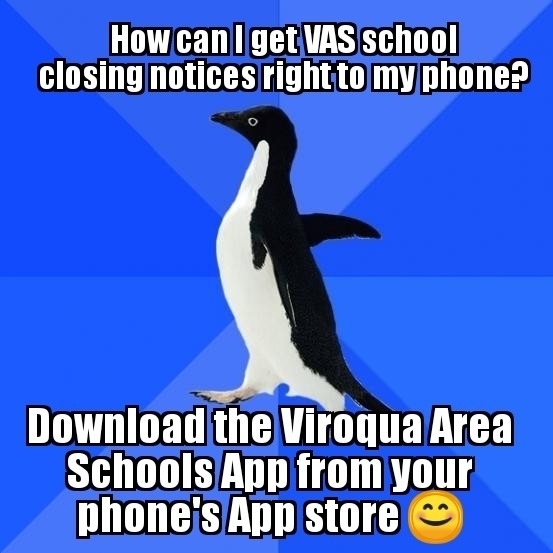 Be sure to add the Viroqua Area Schools App to your phone to get the earliest notices of school closings and updated school information. 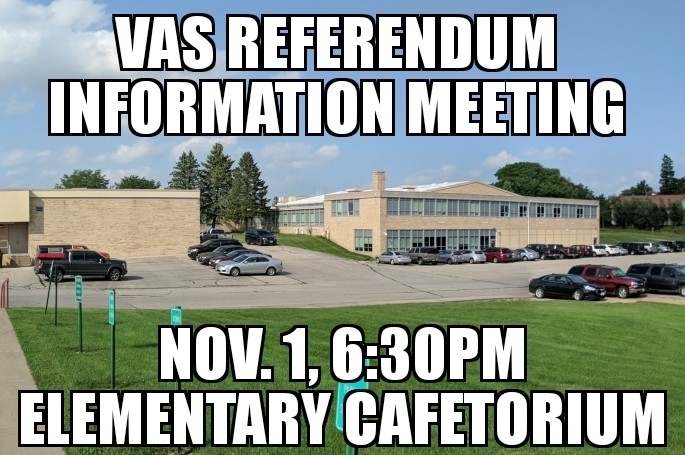 Referendum Information Meeting this Wednesday evening at 6:30 in the HS Band Room. Please join us. 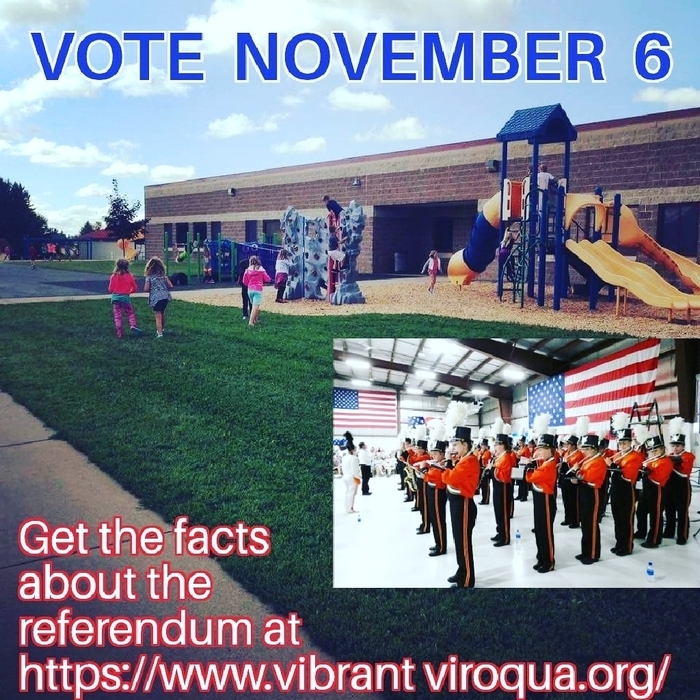 Please visit our VAS Website at https://www.vibrantviroqua.org/ for information about the November 6, referendum. Bridging Brighter Smiles will be holding their next dental clinic at Viroqua Elementary on Thursday, October 04, 2018 and Tuesday, October 9, 2018. Enroll online! Simply go to http://enrollment.bbsmiles.org/ Dental services provided right at school include oral screenings, cleanings, fluoride varnish, and dental sealants. Not sure if your child is enrolled, or due for care? Call Bridging Brighter Smiles at 262-896-9891. 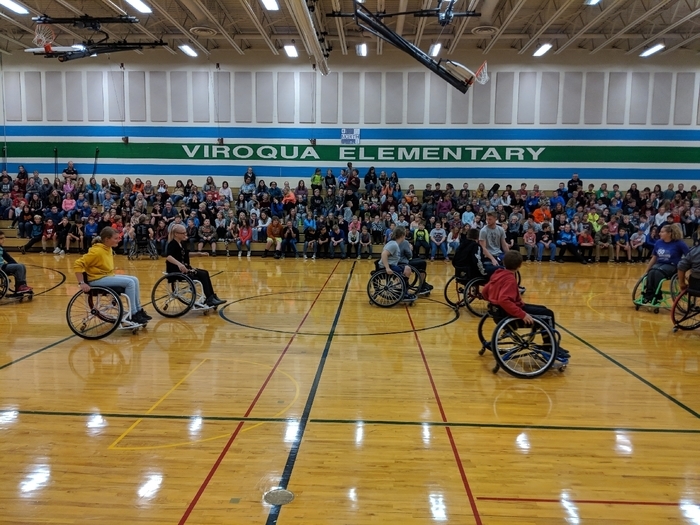 Thank you to everyone from Viroqua and Westby who supported the "Rally for a Cause" tonight. 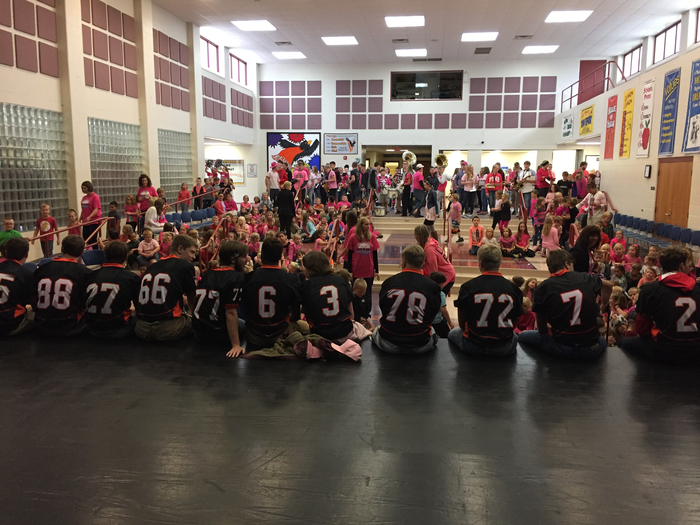 ES homecoming assembly was a success! Thank you to all the high school students who participated and helped us celebrate! 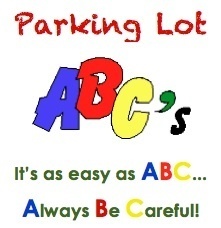 Parents please be aware of our etiquette for pick up and drop off. No parking or leaving your car at the curb (only park in designated spaces). Always do your best to pull further ahead. Be mindful of others, and keep things moving. For the sack of our children, Drive Safely! Bridging Brighter Smiles will be holding their next dental clinic at Viroqua Middle/High School on Tuesday, October 02, 2018. Enroll online! Simply go to http://enrollment.bbsmiles.org/ Dental services provided right at school include oral screenings, cleanings, fluoride varnish, and dental sealants. Not sure if your child is enrolled, or due for care? Call Bridging Brighter Smiles at 262-896-9891. 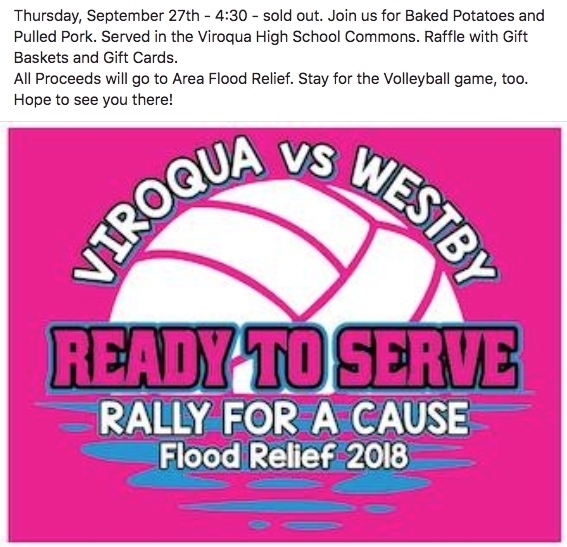 Join us Thursday at VHS as we "Rally for a Cause" and support flood relief. 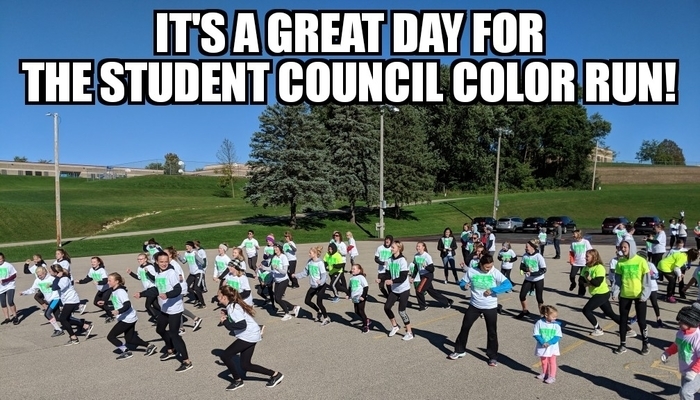 Way to go Student Council Color Run and Walk! The youth basketball season will be here soon so don't forget to register online at: www.viroquaclubbasketball.com by October 1st! 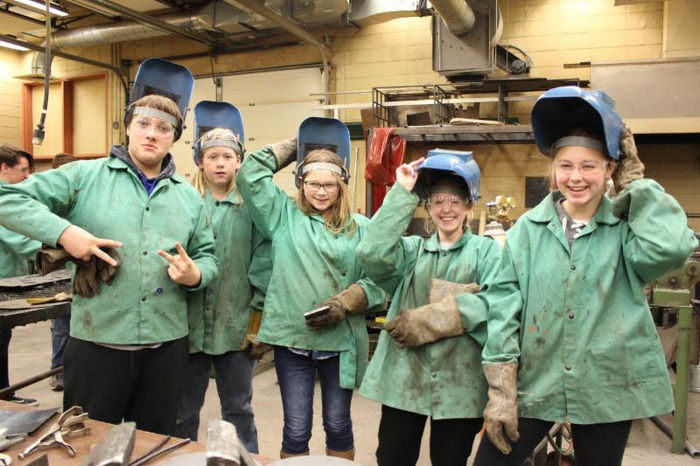 The club is open to any boy or girl in Pre-K through 8th grade. All registration details are available online. Go Blackhawks! 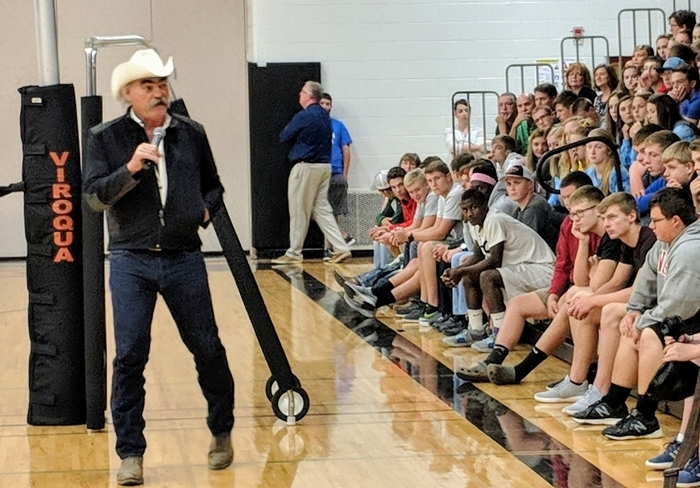 Marty Raney, star of the Discovery Channel's show "Homestead Rescue" stopped in to speak to HS students about his adventures, and how students should work hard for their dreams. Thank you Mr. Raney! Job Opportunity: Vernon County Better Futures Program Aide, Mon-Thurs, 4.5 hr/day. 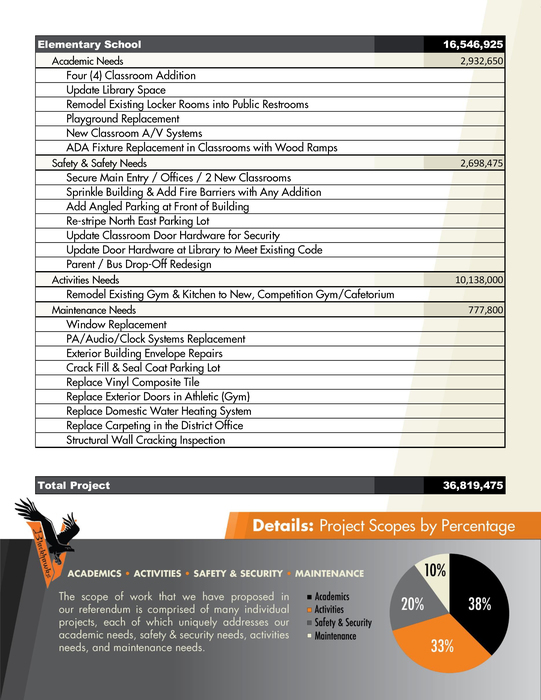 Application and qualification requirements available online: https://sites.google.com/viroquablackhawk.org/employment Applications will be accepted until Sept 28, 2018. 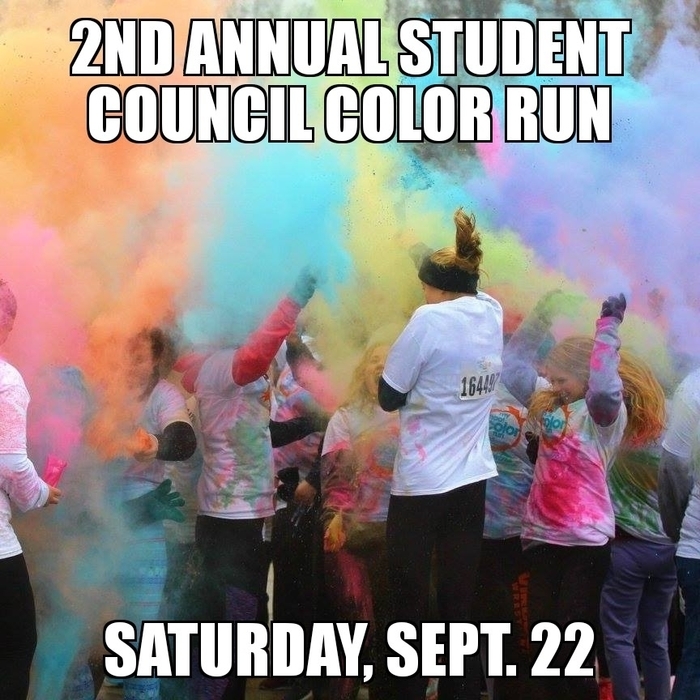 VAS Student Council Color Run this Saturday! 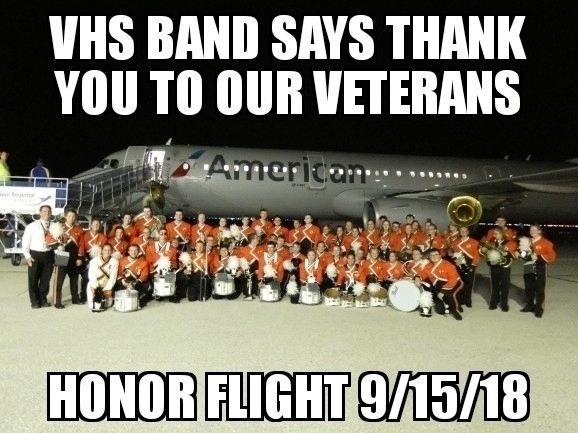 Thank you to Mr. Thew and our wonderful VHS Band as they performed in La Crosse to welcome home Saturday's Honor Flight. Thank you to everyone who has attended one or more of our referendum informational meetings. You have shared your insight, feedback and ideas. With your help we are making excellent progress and will be bringing lots of information to the community over the next two months. The first day of school was wonderful. Today, we are excited for Day 2. See you there! WHERE WILL I FIND THE MENUS? Click on the Dining icon on our new app to find daily menus. These can also be found on our website under the Menu icon. The monthly menu calendar are posted under the Documents Icon on our website and app. First day of school tomorrow! Welcome back students and staff! 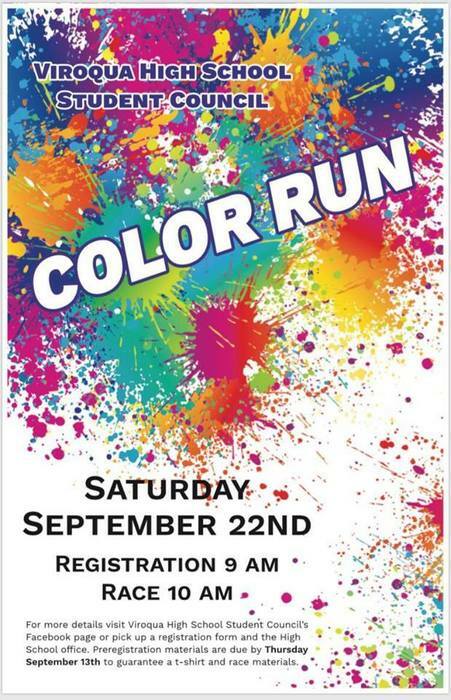 Join us for the 2nd Annual VHS Student Council Color Run/Walk on Saturday, September 22! Job Opportunity: VAS has two open positions for part-time Cook/Servers–up to 3.5 hr/day. Application and qualification requirements available online: https://sites.google.com/viroquablackhawk.org/employment Applications will be accepted until filled. It's on! 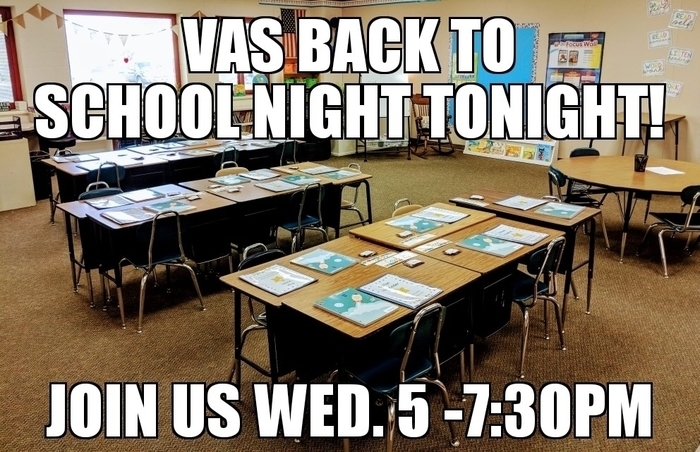 Back to School Night, Wed. 5:00-7:30 PM. Many of our families are dealing with the effects of the storms. We hope you all are safe. 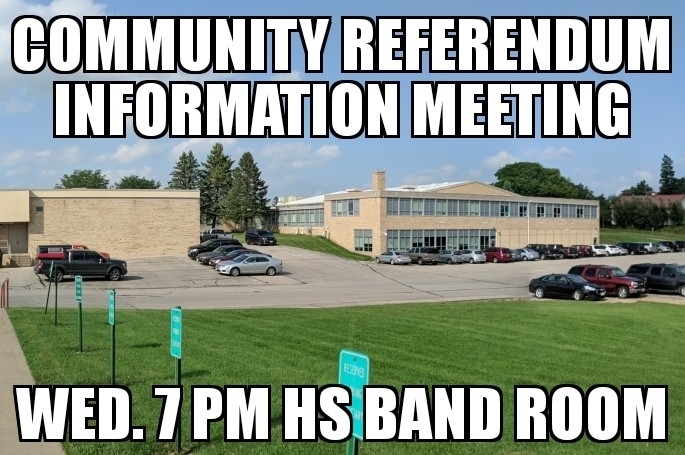 Please join us for our Community Referendum Informational meeting tonight, Wed. August 29, 7 PM HS Band Room. 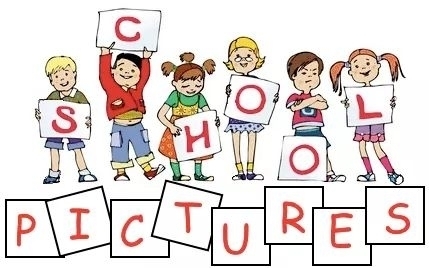 Picture Day at the Elementary School has been postponed. A message will posted as soon as we know when it has been rescheduled. We have to CANCEL AND RESCHEDULE our Back to School Night today. We are sorry but the risks of flooding remain too high today. WE WILL HOLD BACK TO SCHOOL NIGHT FROM 5:00 - 7:30 PM TOMORROW, WEDNESDAY THE 29TH. Our phones are being upgraded today, and we will have some outages throught out the day. We are sorry for any inconveniences. 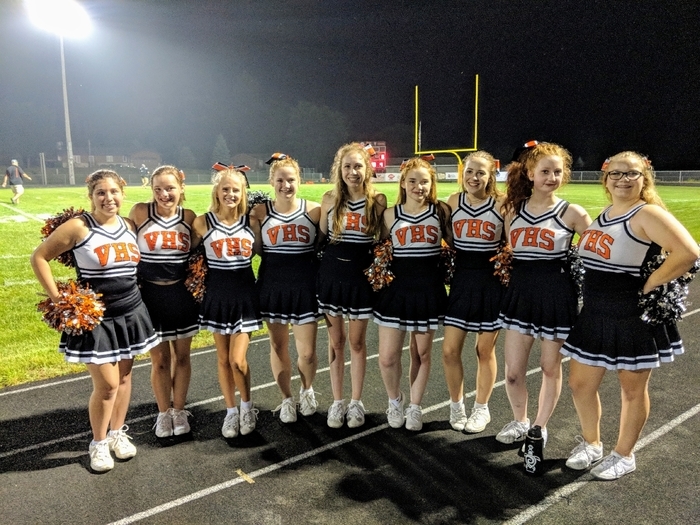 Football Game Night - Change for Week 2: Due to weather concerns, the away football game this week will now be played this Thursday night at 7:00 PM at Royall High School. Great night with a Blackhawk win 31 - 6 ! We are currently updating our new website. Please let us know if you are not able to locate what you are looking for! Click on "Menu" at the top to access many of the links you were used to seeing. Forms and Supply Lists can/will be found in the "Documents" Icon at the top or very bottom. 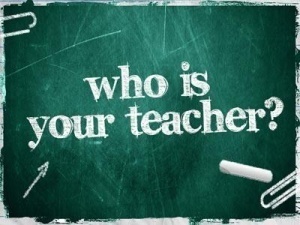 ELEMENTARY CLASSROOM TEACHER ASSIGNMENTS - - teacher assignments will be posted in Family Access on Monday, August 13. If you have not registered for Family Access, you may obtain a registration form from the Elementary Office or the District Office. Thank you! 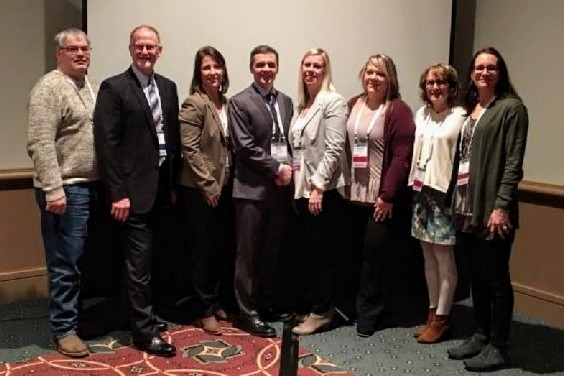 Welcome to our new and improved District site! We have exciting new technology and an easy to use App just for Viroqua Area Schools that will be coming to you for the start of school. Stay tuned for more information about how you can get updates sent right to your phone!